In 2015, the long-term senior care industry reached a staggering $305 billion, according to a new market research report by Kalorama Information. While the report didn’t contain many surprises for senior living communities in Virginia, it did shed light on one major source of anxiety for adult caregivers and anyone nearing retirement — the costs of long-term care. According to a study by Age Wave, most of us drastically underestimate the chances that we too will one day require such care. In a survey of people over the age of 50, only 37% predicted they might require long-term care one day. But in fact, data shows that up to 70% of us will need care in our lifetimes. Unfortunately, individuals who don’t expect to need these services are unlikely to save money for them. Fortunately, new programs are being created to address these new problems. There are a number of new resources for seniors and their families interested in financing long-term care. Don’t Assume Retirement Communities, Assisted Living, and Other Adult Communities in Virginia Are Out of Your Price Range! Assisted living facilities in Virginia are an umbrella term, which can be confusing. 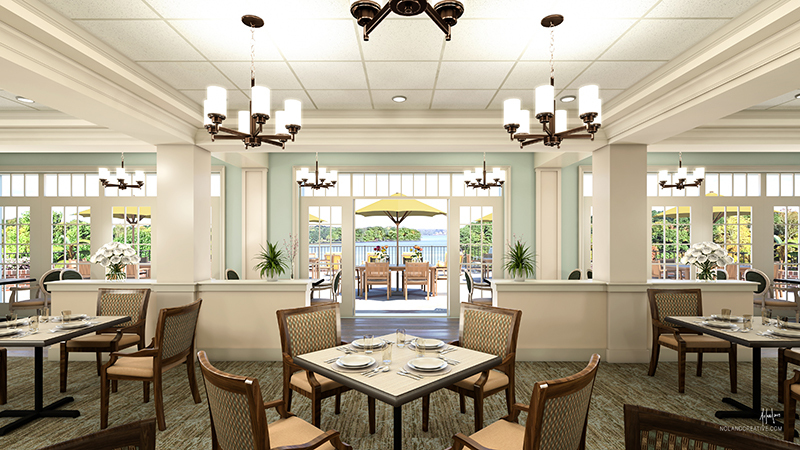 For instance, at Bellaire at Stone Port we provide Virginia senior care for independent individuals who need little to no assistance, but also full-time memory care and supportive services for those who do. Many people think they cannot afford senior or adult communities in Virginia, when they’re actually looking at nursing homes, which provide 24/7 nursing services. While nursing homes might be too expensive, you might find that our assisted living in Virginia fits your budget perfectly. And if you can afford senior housing in Virginia like Bellaire at Stone Port, it might be your best option. In a 2013 survey of 57,900 seniors living in housing communities in 36 states, fully 89% reported “good or excellent” satisfaction with their living arrangements, while 84.5% would have recommended the community to a friend. While many members of “The Greatest Generation” have passed away, many veterans who served in Korea and Vietnam are now retiring. Some veterans may even be eligible for federal pensions that can help cover the costs of assisted living or adult communities in Virginia. These benefits are also available for the surviving spouses of U.S. veterans. Living benefits refer to the practice of taking out a loan backed by your life insurance policy. While this option may not be advisable if you have dependents who may need those funds in the future, some financial institutions offer living benefits to seniors looking for housing. Likewise, a growing number of credit unions and banks are willing to work with seniors who are waiting to sell their homes or receive other benefits. It may be possible to obtain credit lines for financial assets like these, which can help offset the cost of assisted living. For adult caregivers researching senior housing communities for their elderly parents, it may be too late to take advantage of long term care insurance. However, it might be the perfect time to take out a policy for yourself! Remember: before signing up for any long-term care policy, be certain that it covers services like memory care. Because Medicare benefits activate once a U.S. citizen turns 65, many people wonder if Medicare covers senior care. Unfortunately, the program offers scant benefits for long-term care options. On the other hand, those who qualify for Medicaid can often receive access to assisted living, home care, and even non-medical care. Click here to learn more about assisted living in Virginia.